If a Master has one good student his whole life, he is lucky! There is an old saying in Chinese Martial Arts: Yi ri wei shi zhong shen wei fu. This means: If for one day he is your Sifu, then the whole life he is like your father. Nick is like that. He respects me and he respects Kung Fu. 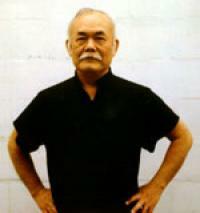 He has a good mind for Kung Fu and for business and he has been successful in both. Nick has been training in Eagle Claw since the early 1980s and he is still eager to learn.